The Blue Bird was founded in 2014 with the express purpose of providing comprehensive coverage of all Cambridge sports and acts as a platform from which sports clubs can be united. Hawks’ Members Martin Sedlak, Tom Bennett and webmaster OJ Watson were its founders and developed it into a fully functioning and well established news outlet. After a year of in depth coverage on important issues such as the Cambridge Sports Review, the Blue Bird was cemented in the Cambridge news scene. 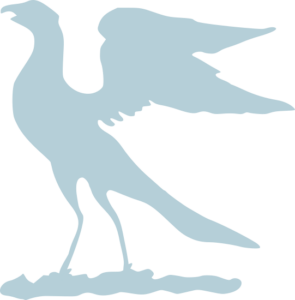 Established and funded by the Hawks’ Club, the Blue Bird operates with them in mind, from the conceiving of its logo to the publicity it provides. To maintain an effective and longstanding partnership the Blue Bird is required to have at least one Hawks’ Club Committee Member in its senior editorial team. The Blue Bird has a vision of improving the uptake, quality and pride that Cambridge students have in sports to a level that is comparable to the top sporting Universities in the UK and US. This vision helps guide the editorial decisions of the newspaper. To keep up to date with the latest Cambridge sporting news make sure you bookmark our website, like our Facebook page, follow our Twitter page and subscribe to our YouTube page.